Sydney Shop Girl: The Hygge Life. Other Things. Readers, I dug deep and stepped away from my computer. Without even adding one of these to my virtual shopping basket. But there is a price for not having to run to the microwave or put the kettle on for a boiling water top up. And that price would be around $200 AUD. Given my track record with chipping mugs and outright dropping them onto the kitchen floorboards, I stepped back even further from my computer and into Kmart. These large mugs are $4 a piece. What they lack in Apple-esque aesthetics they more than make up for with their colour palette and gentleness on my wallet. I have one of the speckled grey mugs sitting in my dishwasher as I type. Any talk of smart shopping decisions would be nothing without mentioning Aldi. At least if you're doing the talking on this blog. 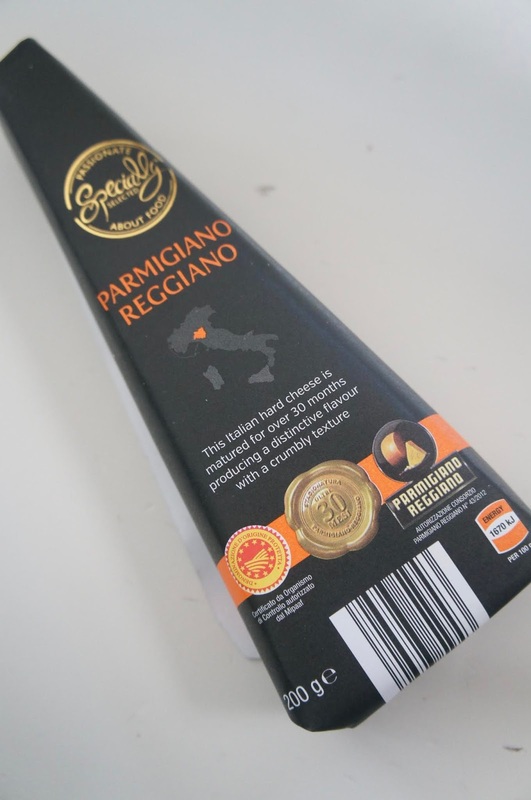 I picked up this wedge of Parmigiano Reggiano for $7 which is half the price of what you'd see at The Competition. I often grate a wedge and freeze it to use for cooking more than to flavour a bowl of spag bol so $15 is a bit ridiculous, isn't it? The Aldi version is sharper and saltier than the pricier versions. I wonder if it will work for my sour cream baked salmon? It's based on this recipe in case you were needing to know. 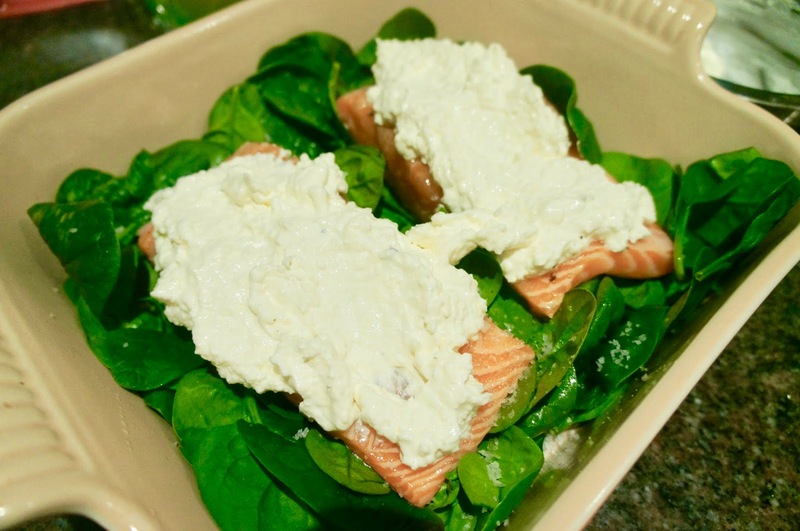 On a bed of spinach place your salmon fillets. 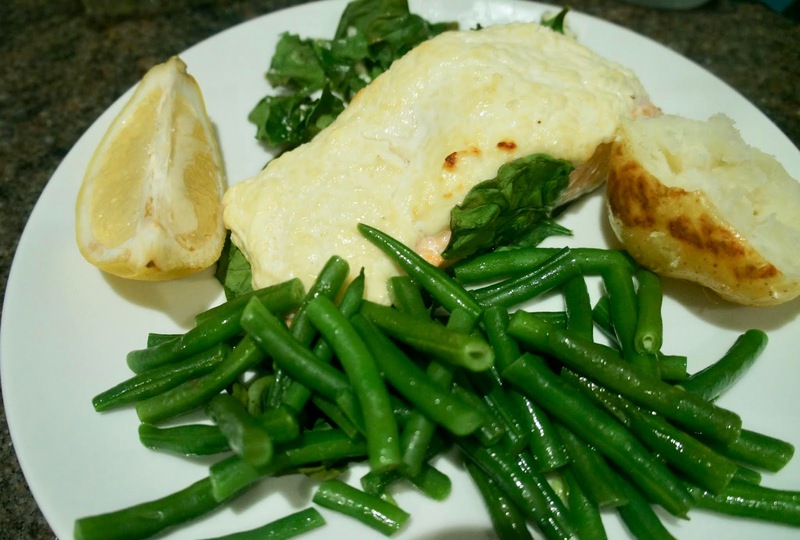 Season then top with a mixture of parmesan, garlic, sour cream, crushed garlic and seasoning. Bake for 25 minutes and voila! I'm feeling positive that it'll work for the ricotta sauce in my lasagna as well as on my spag bol. Pity (in a way) because I quite liked buying those massive wedges of Kirkland Reggiano at Costco. Never fear, I'm sure another reason to trek to Costco will make itself known pretty quickly. In honour of winter and the need for a bit of the hygge life at SSG Manor 2.0, I also picked up these chocolate lava cake desserts at Aldi. I think they were $4 for a pair. A mini passionfruit and mango cheesecake dessert in a glass for $2? Aldi, you are preaching to the converted. I'll have to remember to get my next lamb roast at Aldi too, At $8.99 per kilo, that's around half the price of Woolworths at the moment. Have you tried Aldi's lamb yourself? I've already gotten into the roast dinners this winter. Roast pumpkin and brussels sprouts are some of my favourite things about winter. The changeroom at Lululemon isn't often a place where I demonstrate restraint but nonetheless, I left one on Tuesday with only what I went in for. One pair of fleecy running leggings. They're the ones top right in the photo and care the Fresh Tracks style. 11/10 for coverage and waistband stay up-ability if you're still rocking a mum tum and a muffin top (too many years after the event). My self control was rewarded because guess who I got an email from the next day? Hint follow that pointing arm thingie I stuck on using Aviary. So now I own my full winter running wardrobe. And these scarves. Because Winter 2018 is the winter this middle aged suburban mum will be rocking Lulu scarves and wraps as she flits from school to gym to Luxe/Kmart/Aldi/MINISO/Woolworths and then back to school. How can I be nothing but zen in peak hour traffic and full of love for all humanity when they randomly stop their cars in the middle of a congested suburban road with a bit of 'Vinyasa' or 'Wrap Me Up' draped over my shoulders? Those suburban driving issues of mine. They resurface so frequently these days. 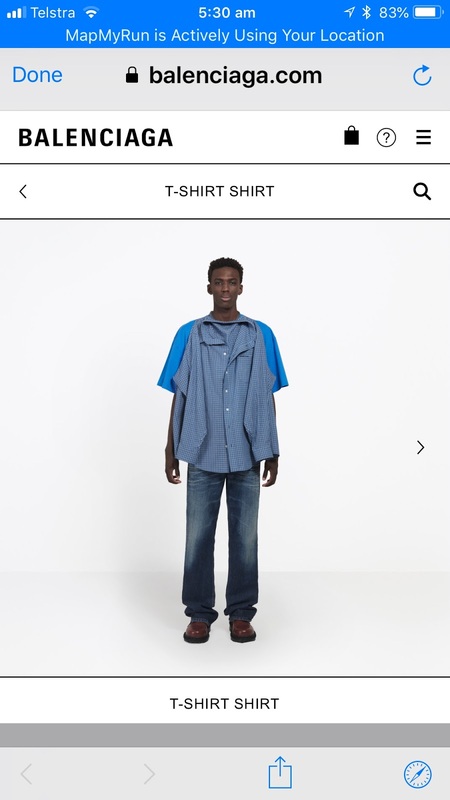 It's a small consolation but at least what I've spent at Lululemon this week barely makes a dent on how much this Balenciaga T-shirt shirt costs. $1700 is apparently not a misprint.... I kind of felt the Ikea bag but this is just plain ridiculous. Before I disappear, an update on the life and times of one Dr Ruth Galloway. The series is proving to be the perfect hygge read. I'm up to book four,'A Room Full of Bones' and Ruth is now mum to one year old Kate. Kate's father is officially out of the picture at the request of his wife. Matters came to a head after she saw his likeness in Kate at her baby naming ceremony. The only problem is that Ruth and her baby daddy keep bumping into each other on the job. Their actual archaeological and detective jobs, I mean. Keeping it clean and PG for the weekend and all. I really do need to know. Aldi lamb roasts? Yay or nay? I wish we had an Aldi here!! I really need to take more time in Aldi and look at some of the options! I like the look of that dessert. I've never tried their roasts, but I'm loving how their produce is just a little cheaper especially considering the amount of apples we go through in this house, ha! Aldi meat is the bomb. Go for it. Their steaks are better than those of the duopoly. Ummm... what muffin top and Mum tum?